Dark Places. Stories we create in play. While I’m not completely convinced that I understand the full complexity of Vincent’s Apocalypse World game, I think it’s wildly interesting and I want to learn more about it. One of the hurdles for me is the kind of post-apocalypse setting it comes with, and the thematic language that accompanies it. It’s not a critique, but somehow it doesn’t swing with me. That’s why it’s super cool that all sorts of interesting AW hacks are popping up all over the place. Two that have caught my attention lately are John Harper and Paul Riddle’s sizzling war hack The Regiment, and Jason Morningstar’s Lives of Others-inspired secret police hack, so far without a title. 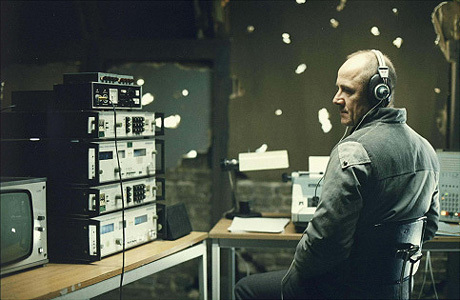 In what might just be the bleakest game in a long time, you play Stasi-like operators, criminal investigators, working for a totally totalitarian and totally corrupt and paranoid state. First version includes a GM toolkit and how to get a game up and running, as well as loads of information about the many (many MANY) different and opposing government agencies, from the Ministry of State Security’s 26 departments (nobody fucks with Department 15!) to the People’s Police, the Ministry of Defense and Minustry of the Interior. Also included are seven playbooks. I want to play this. If you are a story gamer and have been sleeping under a rock or something for a number of years, this may come as a surprise: the old HQ for indie RPGs The Forge closed down yesterday, 1 June 2012. Although it was always the plan to close it down after it had served its purpose, it still feels weird to me. When I moved to the UK ten years ago, I was pretty disillusioned by roleplaying. I was so fed up with prepared and pre-written stories and scenarios that were the norm back then, and I simply couldn’t understand why gaming was so unsatisfactory and no-fun for me. I gave away or threw out most of my roleplaying games books, and thought that I had maybe just grown out of it. Bear in mind that I discovered roleplaying games in 1986, when I was 23 years old, so it was never a teenage thing for me. Things changed, and I remember it like this: after a while I began trawling the internet for alternative games. I eventually came across a game called Dust Devils, which I bought as a PDF and read, I think with my jaw dangling in amazement. This was different, alright, to everything I had encountered so far, but I also couldn’t understand it. At that time I was deeply convinced that a roleplaying game is run by a game master, who has pre-planned “a story” in which the players get to act to a greater or lesser extent. Via Dust Devils I arrived at The Forge some time in 2004, and started reading the articles there. Ron Edward’s System Does Matter simply blew my mind, and I quickly ordered his game Sorcerer, which is still my favorite game today. Now I understood why my gaming was unhappy gaming – I was looking for something else (without a clue what that was or how to communicate it) than the people I was playing with, and this clash made our gaming sessions wildly dysfunctional and painful. I thank The Forge and all the marvellous people and discussions there for saving my gaming life. My latest game Crossroads ran as a “short story scenario” at the Danish convention Fastaval this April. There was scheduled to be a whopping 16 groups playing the game, but a couple of late cancellations shrunk that number to about 12-14, I’m not entirely sure. I had 14 great people who volunteered to facilitate the game, and I’m very thankful to all the players and especially the facilitators. At this time I am waiting for all the feedback from the players – at Fastaval all the groups fill in feedback sheets for the scenario author, which is a great thing. Obviously there will be players who haven’t got a clue about what the scenario is about (and sometimes GMs as well, even worse! ), but in general I think this is a good thing. I asked all the facilitators to get back to me regarding how it went, and most of them did, which is very helpful indeed. None of the feedback has been different from what we learnt from the extensive playtesting, but it’s still nice to have confirmation that everything works as intended. After a considerable re-write since the previous playtests, I’ve begun a new cycle of playtesting. Peter, Oliver and Asbjørn have all graciously agreed to play via Skype, and we had the setup session this week. The first session lays down the land regarding what kind of setting, crime and stuff the players are interested in. We quite quickly agreed on playing in Denmark today, and doing something “internal affairs” kind of crime.Smuggling and corruption were also mentioned. The setting is Falster, a big island not that far from Copenhagen but still very, very different. The area has ferry routes to Germany and Poland(? ), and was also the location of one of the most famous Danish shipyards, now defunct for decades. The players each chose a character pack to start building their player characters, and then it’s my turn as the chair to come up with a brief backstory to kick things off. Probable Cause is playtest ripe, at least by me, since not all procedures have been written yet. The biggest hurdle so far has been Human Nature, which looks like this in the current draft. Human nature is a central ability in Probable Cause. It defines who your character is and where she is heading. Your player character is a police officer, but how does she go about doing her job? To what lengths does she go? Will she break the law to uphold the law? And how does she cope with the job? The two other parts of the belief system in Probable Cause are Burden and Hunch. Nick Nolte as the cop in 48 Hours. Burden is something in your character’s life that is a burden or a stress factor, or even a personal goal. For extra tension, make up a Burden that’s perpendicular to the ongoing case. This could be a beginning separation with your spouse, who gets what and what about the kids etc. It could be a deep and overwhelming debt problem, a career thing, illness or dependency on drugs, or something form the character’s past coming back to haunt her. Playing towards your Burden earns you a Destiny point reward, and should your character reach a point where her Burden is “solved” it earns another Destiny point reward. Burden should include a statement, an action and a target. Make it possible for you to show in play how your character is reacting to or trying to deal with her Burden – it earns Destiny points. Also, make sure you choose a Burden you want to be challenged, because the GM will do that, all the time, during the game. When a Burden has been overcome, take some time to stop and think. You can either retire the character from play and create a new one, or write up a new Burden. Your choice. Hunch is your character’s habit or usual reaction. From The Wire, it’s Bunk’s pinstripe suit, his cigar or his chasing tail. Or McNulty’s quarter of Jamieson in his pocket. From The Killing, it’s Sarah Lund’s sweater, her sensing of a crime scene, or her inability to connect with other people. From Twin Peaks, it’s agent Cooper recording every detail of his working day for Diane, his obsession with coffee and doughnuts and pie. It’s Andy breaking into tears when he sees a dead body. All these small, quirky details about a character adds dept and hopefully interest. Feel free to come of with weird stuff you don’t even know the explanation to yet. Perhaps your character’s gun has a pink grip. Or she has a tattoo on her belly that says “HANK”. Or she always wears leather pants on Fridays. Or can never get the fax machine to send. Playing out you character’s hunch earns you a point of destiny. You are even rewarded when you decide to go against your character’s hunch if it makes a situation more difficult. This way you can enable your character to be more efficient in the fiction, when you need it or think it’s dramatically appropriate, all depending on how you choose to play the character at any given moment. In Probable Cause, what I have called Credo, Burden and Hunch are in a way the engine room of a player character. This is where it all happens, and where actions on behalf of you character in the game interacts with the game system’s Destiny points. In short, as a player you will want to earn Destiny because Destiny gives you more impact on the game’s fiction, and that’s handy in dramatic or dangerous situations. You earn Destiny by acting on and playing to your character’s Credo, Burden or Hunch. You even earn Destiny when you play against your Burden or Hunch to make things even harden for your character. In game mechanic terms Destiny allows you to reroll dice, add dice to a roll or add your character’s Human Nature as extra dice to a roll. 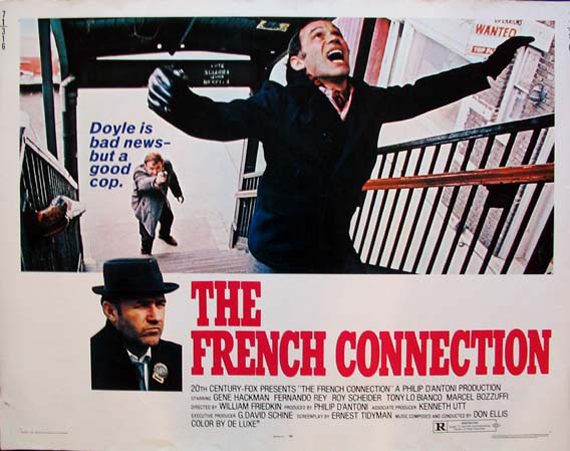 Gene Hackman as Popeye Doyle in the unmissable The French Connection. Credo is what your character believes about law and order and justice, and is going to do about it. These are ethical, moral, ideological statements or stances, filters your character perceives the world through. The Credo should relate to the character’s job as a cop or to justice and law and order in general. It’s what the character believes is the point of being a cop or how justice should work. Describe your character’s Credo as a sentence as seen from the character’s own point of view. It is also a good idea to write a character’s belief based on what game setup you have agreed upon. If your game is going to be about corruption in the force or among politicians, write it into your Credo if you care about it. If it’s about slave trade or people trafficking, likewise. Do not think of a character’s Credo as something isolated, it’s a comment on what is going on in your game. And it can change depending on what’s going on in your game. In the Wire, Omar only targets drug dealers, never civilians. That could be written into his Credo. A good Credo should make it possible for other participants to know when a character is following his Credo, or indeed not doing it. Credo should drive what the character wants to do in your game, it’s a statement of belief that guides your actions, as the dictionary says. Include a goal in your Credo if you like. Examples: The law should be upheld without breaking it. The law is there to protect the criminal – better to get at him before the law does. You have the right to remain silent until I tell you to talk. You are guilty until proven innocent. Everyone is equal before the law and everyone deserves a fair process. I am the law.